Unbridled Coaching – "People Whispering"
Unbridled Coaching combines traditional life and corporate coaching methods with the intuitive nature of horses in order to improve our relationship with others, advance our goals, and better our lives. Located in Osgoode, Ontario, we offer private sessions, workshops and corporate retreats. Our Equus coaches also do speaking engagements. Equus Coaching is a unique and highly effective coaching service offered by two recognized Ottawa motivational and leadership coaches, Marlene Armstrong and Maureen Donoghue. It draws on the instincts and wisdom of horses to provide a greater sense of self, as well as social awareness. The Unfiltered Truth Horses always react in an extremely authentic and intrinsically honest way – without judgment. With horses, there is an immediate and visceral reaction that speaks to your strengths, your weaknesses and your overall effect on others. Your body language and tone speak volumes; by becoming more aware of this effect and the emotions that drive it, you will be better equipped to take charge of your life and the directions you set. An Awakening While this practice is fairly novel to Canada’s Capital Region, it has been gaining increased attention and recognition around the world. Seeing yourself through the eyes and soul of a horse is the first step towards greater self-awareness and breakthroughs. Several equus coaching centers have emerged around the world, particularly in the U.S., due to the very impressive and compelling results it produces. The sessions are empowering individuals and teams to be better co-workers, partners and leaders. Overall, they are inspiring us to just be better. Our Corporate Leadership and Team Building program is specifically aimed at improving the conversations that go on in organizations to build better relationships. The quality of the relationships within an organization is directly related to the quality of its culture. And the best part of our Corporate Program is that the horses allow us to customize it to YOUR organization/corporation! To book your no obligation Discovery Session to find out how we can help your organization get fast insights and big results (just like the horses), contact us at 613-277-4402. Master Your Mental Game of Golf… with horses! We’ve partnered with Dr. Emma J. Stodel to help you uncover your mental barriers on the course and play your best game more often. Sign up for this one and take control of your golf! Finding it hard to carve out time for yourself? We have the answer at an great price! 1-hour laser-focused coaching sessions with our four-legged coaches to help you gain fast insights that will inspire you to do better and live better. Call us at 613-277-4402. Are you ready to retire? Feeling overwhelmed, scared? Not sure of your next move? Try out our Retirement Package! Existing Clients – Benefits – we heard you! Check out the substantial discounts for our existing clients that offer on-going support. NEW! – If you truly want to immerse yourself in nature why not stay with us! Comfortable accommodation available on-site for all our workshops (3 bedrooms with double beds) as well as meals. Ask for availability and pricing when you register. The award was presented at the Start-Up Canada event at the Shaw Centre in Ottawa on October 19th, 2017. 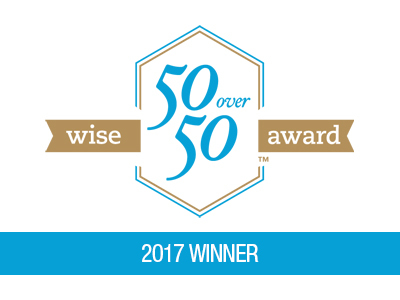 We have been nominated for the SilverEco Awards and Ageing Well International Awards – 2017! We were among very good company from organizations all around the globe who are providing programs and services to the silver economy. Unbridled Coaching was retained as a nominee for our Retirement Coaching package. Thank you everyone for your votes! We were truly touched by all your support! While we did not win the actual SilverEco Award we were very honoured to have been nominated for such a prestige global award! James French, the pioneer for the Trust Technique, a seasoned animal communicator and Reiki Master, based in England, who travels the world working with humans and animals, visited Unbridled Coaching in October 2017! James, along with his partner Shelley Slingo, introduced us to the principles and practical application of the Trust Technique. Watch this video to see what they were up to last year.